Our generation is not the first to question the compatibility of religion and science, and our generation would not be the first to reconcile the two. History provides innumerable examples, including that of Christianity, which has repeatedly challenged and embraced science, as the two have evolved together, each affecting the other in a feedback loop. In this series of posts, I'll explore Christianity's recurring conflict and integration with science, beginning with early Christianity and working forward to contemporary Christianity. This post focuses on the conflict and integration with Platonic science. The New Testament tells us the story of Jesus. He was a Jew. He was born a Jew and he died a Jew. Most of his early disciples were Jews. They would have been among perhaps two million Jews in Palestine, and seven million in the world, when total world population was probably around 300 million. Unlike most Jews, the disciples of Jesus saw in him their prophesied Messiah, who would save them from oppression, and more. They saw in him their God, who would save them from death and hell, through his suffering in mortality with them, and through his invitation to share in glory with him. The disciples of Jesus lived in a world that had been dominated for hundreds of years by Platonism, essentially the science of its day. Plato reasoned that everything, each thought and experience, comes from the Good, understood vaguely as an idea pointing beyond itself to an unchanging cause of all that changes, an immaterial source of all that’s material, and a single transcendent origin of all other ideas and forms. This reflected a traditional Greek theology from earlier philosophers like Xenophanes, who described one God, greatest of all, who knows all, moves all without moving itself, and is unlike humans in form. Later Neoplatonist philosophers such as Plutarch drew on such theology to characterize God as Plato had described the Good: the unchanging, immaterial, transcendent origin of our changing, material, immanent world. Imagine how ridiculous or even offensive the disciples of Jesus must have appeared to some in their day. They claimed a God so changing that he could suffer, so mortal that he could die, and so material that, even rising from the dead, he would dare do so bodily. The Neoplatonists had scrupulously refined a system of thought with God at the pinnacle of untouchable perfection, and a small group of renegade Jews would have them believe they could use their dusty hands to feel wounds in the body of God. Although preposterous to some, the disciples of Jesus continued to gain numbers, influence, and eventually an identity distinct from other Jews. In hindsight, it seems that an integration of Christianity and Platonism may have been unavoidable. One scholar claims that early Christians were concerned with progress and modernity and used the voices of antiquity to accomplish their concerns. Another scholar argues that Greek education was so broadly diffused that it would have been difficult for Christianity to avoid its influence. Either way, whether Christianity used Platonism or Platonism impinged on Christianity, the outcome was an integration. It began among philosophers. Philo, a Jew living in Alexandria at the time of Jesus, had developed a Platonic understanding of the Hebrew Bible by applying figurative interpretation. Following his example centuries later, Clement and Origen of Alexandria also began applying figurative interpretation to Christian texts to accommodate their Neoplatonic education. 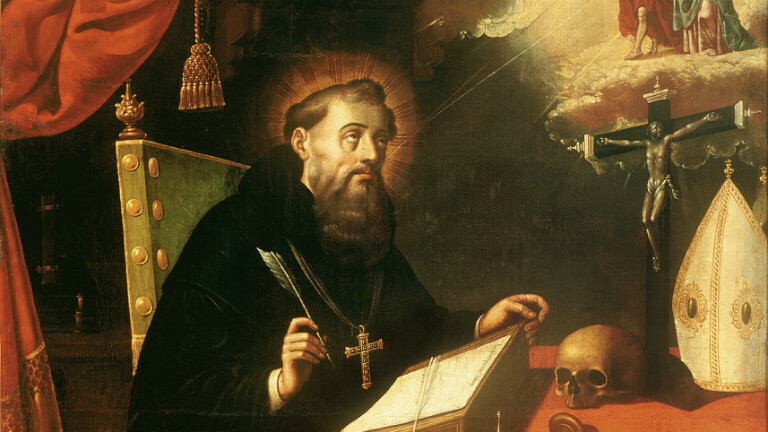 And in time, Augustine and other influential Christians developed thoroughly Neoplatonic theologies. What started with philosophers made its way to politicians. Most notably, Emperor Constantine of Rome, with the world’s mightiest army at command, gathered representatives from the factious Christian sects and effectively began formalizing their integration with Neoplatonism. The Nicene council agreed on belief in one God and in the full divinity of Jesus. Later, the Athanasian creed described God and Jesus as a coeternal and coequal unity that is uncreated, unlimited, eternal and almighty, assuming humanity without converting divinity to flesh. Jesus and the Good became one, if not exactly as experienced by the early disciples or as imagined by Plato, at least in the imagination and experience of their successors. The integration of Christianity and Platonism became so thorough that, as one scholar observes, "it helped the Christian communities to believe as an intellectual conviction that which they had first accepted as a spiritual revelation." In my next post, I'll explore the Christian conflict and integration with Aristotelian science in the middle ages.